Last year we had a cute little tea party with our friends for Valentine's day and we had everything ready to do it again this year then we all got the flu! So we had an Easter tea party instead! 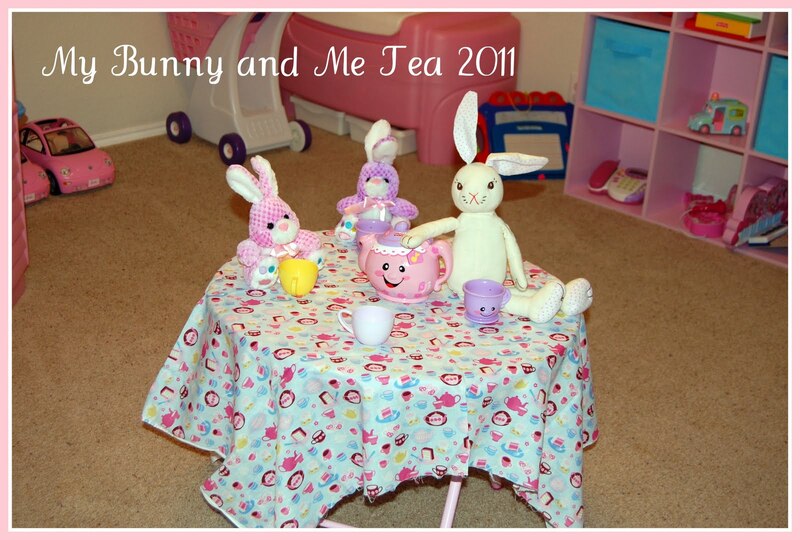 Big sister and little sister bunnies that we made last year from socks! Easter egg tree for party favors. Bunny cookies! Ok they could pass as cat cookies too! These were easy. Oreo cookies dipped in melted white chocolate! The snacks! Annie's bunny cheese crackers. Annie's chocolate and vanilla bunny cookies. PB&J's cut into bunny shapes! 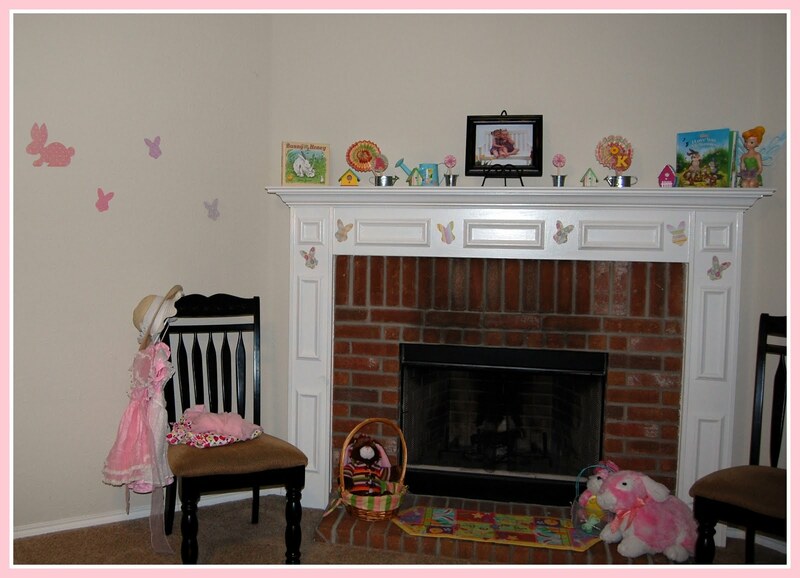 I used my bunny cookie cutter to trace bunnies on to cute Easter scrapbook paper. 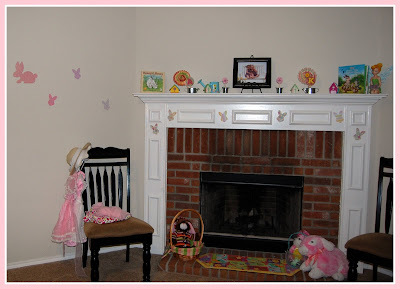 I ended up making 65 bunny cut outs and they were put on the walls throughout the house. 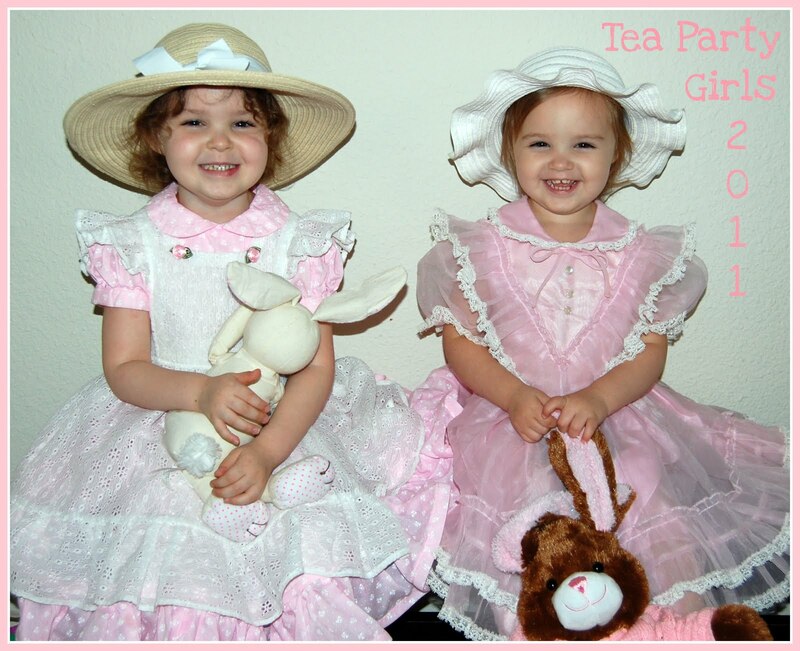 The best part about a tea party is pouring the tea!